“I want to fight all the guys in my division. We got new guys comin’ up, Sergio Pettis looked good his last fight, ya got [Jose] ‘Shorty’ Torres…he’s in here now. Shoot, Kyoji Horiguchi’s in RIZIN tearin’ things up. So there’s lots of guys out there but for me, I’m just sort of going one fight at a time. If I was to, like, go out and collect all the belts, now that’s something that’s like, ‘OK, I’ve proven that I’m the best’. If I was to go to ONE Championship, win the flyweight division there. Go to RIZIN, win the flyweight division there. And then go to Bellator…125, 135, win the belt there. Now this speaks volumes. 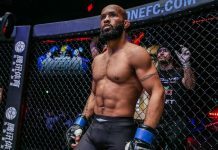 The most dominant champion in MMA history is none other than the one and only UFC flyweight king Demetrious ‘Mighty Mouse’ Johnson. Now with 11 total title defenses and potentially counting come Saturday night at UFC 227, we’re getting to the point where there is little left for Johnson to accomplish in MMA. 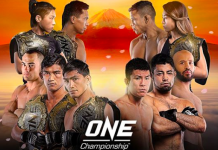 A champion vs champion bout has been proposed in the recent year with the vision of Johnson defending his crown against the bantamweight champion or going back up to his old division to possibly become the third ever simultaneous dual-division champion. However, negotiations broke down and a price has yet to be agreed upon which led to both divisional champions defending their titles this Saturday night. Johnson being interested in going around the world to collect all of the other organization’s titles is definitely a new and interesting idea. Obviously, it would require him to depart the UFC unless he drastically altered his UFC contract into some unique agreement. But knowing the UFC…that’s nowhere even close to the realm of possibility. 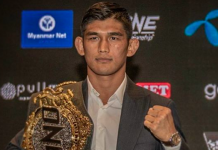 Of course, the most interesting of the fights left at 125 for Johnson is perhaps the one he mentioned being the rematch with Japanese star Kyoji Horiguchi. Horiguchi suffered his last overall defeat and only UFC defeat to Johnson in April 2015 and has won ultra-impressively 10 straight times in a row since with his wins coming across both of the flyweight and bantamweight divisions. As Johnson mentioned, it’s unlikely that Horiguchi will be leaving RIZIN any time soon as he’s arguably their biggest star and is being treated as such in all aspects. His pay hasn’t been made public but for Horiguchi’s December 2017 victory over Shintaro Ishiwatari, he earned $133,000 in bonus money alone. For comparison, in Horiguchi’s title fight with Johnson, he only made $22,000. If Horiguchi were to have won (assuming that his UFC contract was a 22/22) then earned fight and performance of the night bonuses, his total would come out to $144,00. 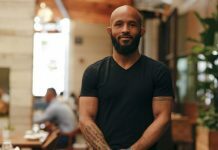 Whatever ends up being next for Johnson all depends on him getting through Henry Cejudo for a second time at UFC 227 in Los Angeles.